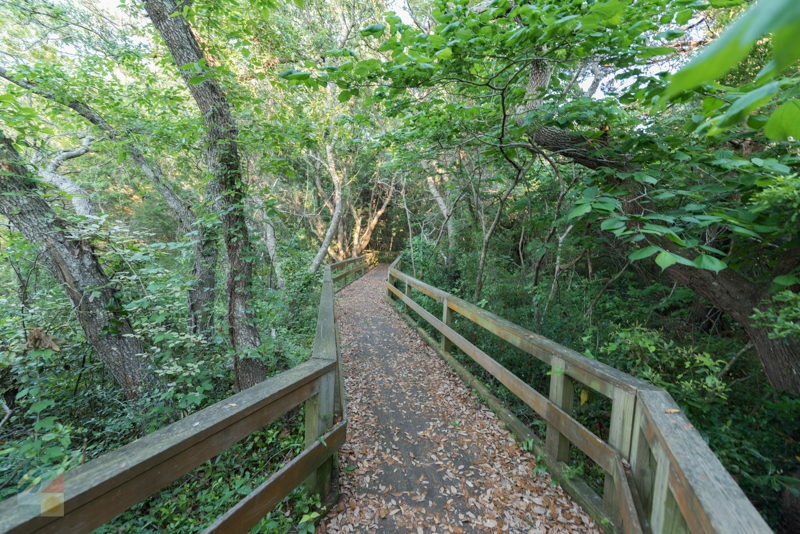 The small half-mile trail may be located adjacent to a major shopping complex, but quickly leads visitors into a world of natural green landscapes and beautiful waterfront views, which are inherently peaceful, but never stray too far from Atlantic Beach's main tourism areas. 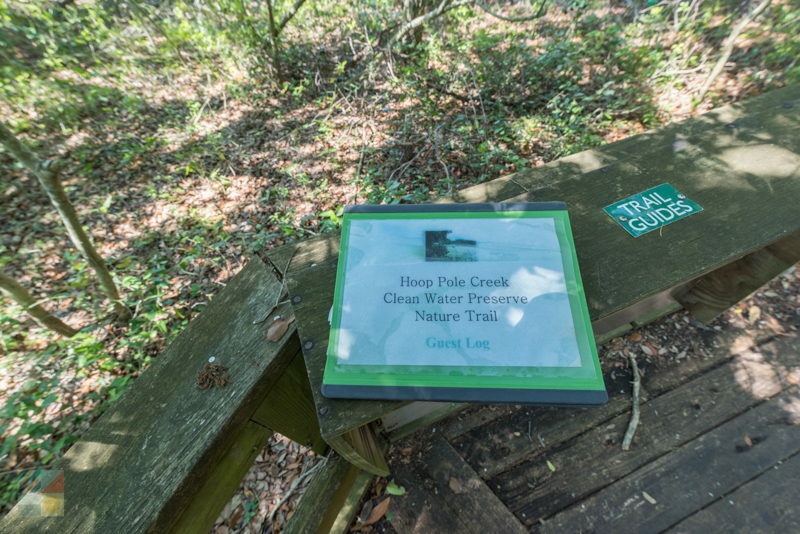 An easy walk that is shaded year-round, and can be easily tackled by hikers of all abilities and in virtually any season, the Hoop Pole Creek Nature Trail is a great way for newcomers to uncover the more secluded natural landscapes of this otherwise resort town. 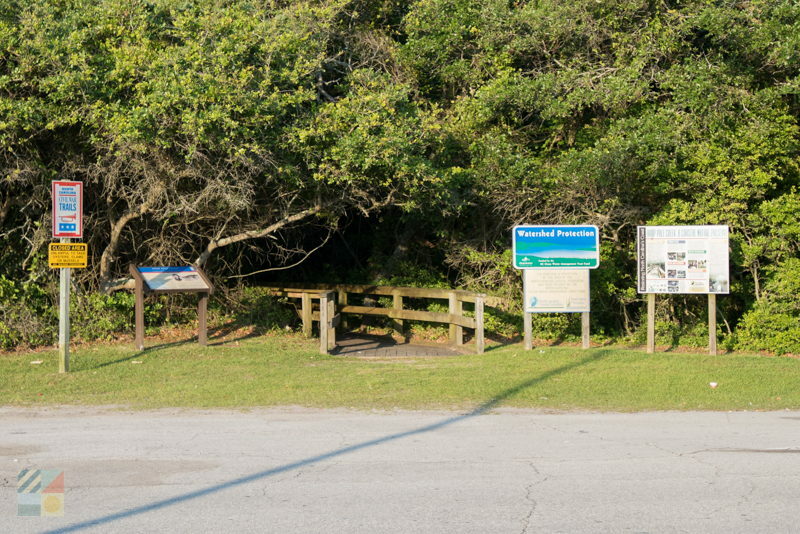 The trailhead is easy to get to but a little tricky to spot, and is located just off of West Fort Macon Road, adjacent to a large shopping plaza, (the Atlantic Station Shopping Center), which features groceries, ice cream, and all the other staples of a great beachside vacation. 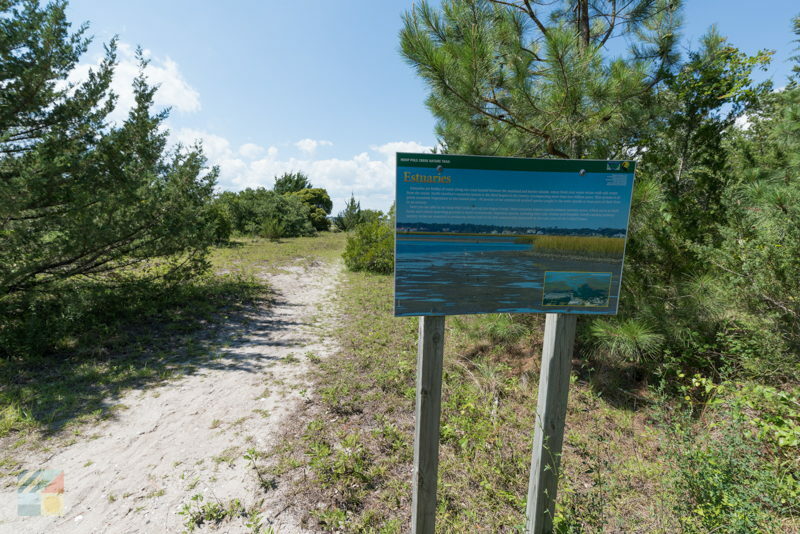 Visitors who park along the eastern edge of the complex's parking lot, however, and look for the eastern trailhead along the wooded region, can easily start an adventure through the thick of the maritime forests, marshlands, and borders of the Bogue Sound. 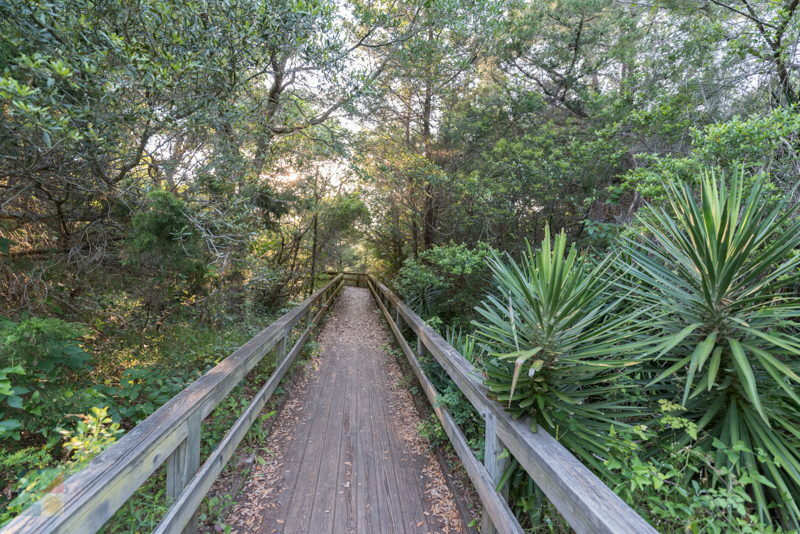 From the subtly marked entrance, visitors will follow a well-trodden path that loops for a while through the forest, and features long patches of boardwalk along portions that are significantly marshy and wet in all seasons. 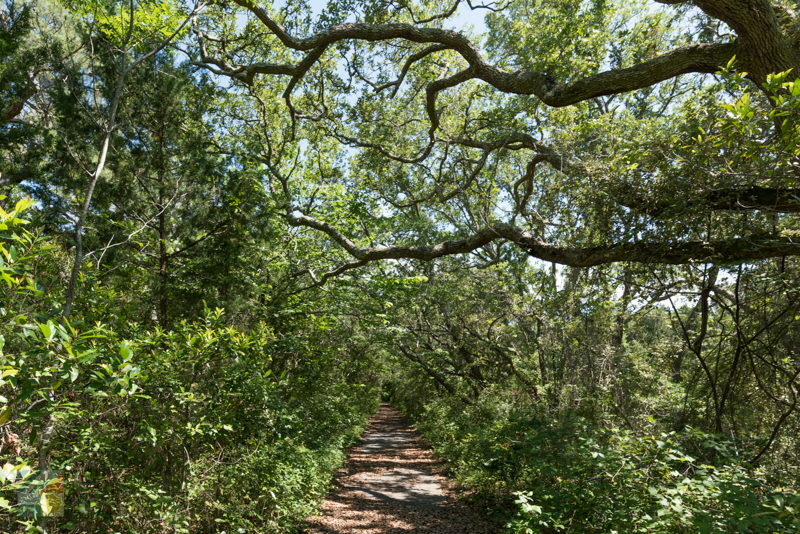 This route, although small, is a prime representative of an estuarine ecosystem, and eventually, the trail ends at the mouth of the Hoop Pole Creek, a small estuary off the saltwater Bogue Sound, and a branch of water that was named after the "hoop pole," a long section of bark that was, centuries ago, peeled from young saplings and then used to secure the ends of wooden barrels, years before the metal "hoops" were used. 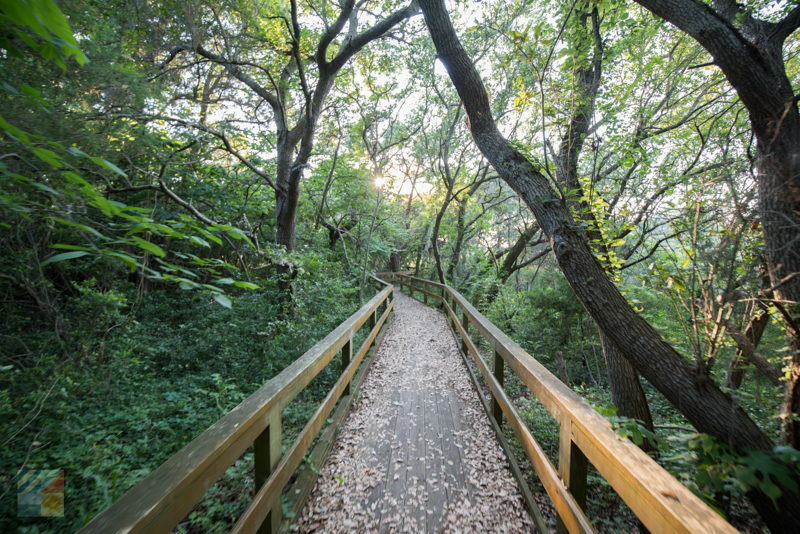 Though the trail is just a one mile round-trip hike, visitors will find ample opportunities to scope out both a variety of local ecosystems and native wild residents that call this region home. 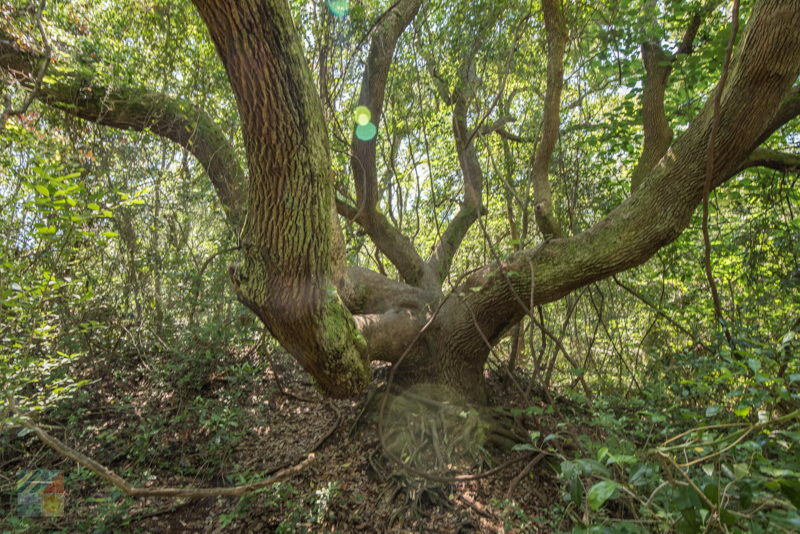 Maritime forests, salt marshes, dune ridges, and estuaries can all be found along the trail, and as a result. There's no shortage of local wildlife that can be spotted, from sky and agile deer to a wide range of butterflies, turtles, and super-speedy racing lizards. 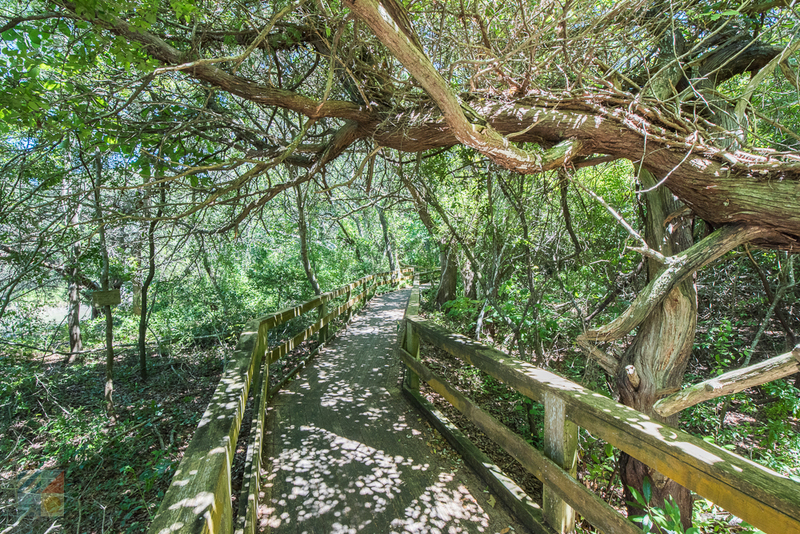 Arguably, the Hoop Pole Creek Nature Trail is best known in bird watching circles, as the abundant range of wildlife is rare for this otherwise populated area of barrier island coastline. Naturalists exploring this trail can expect to spot a wide range of songbirds in the wooded regions, including warblers, cardinals, and mockingbirds, but the true good sightings begin with the borders of the marshy, creek front areas. 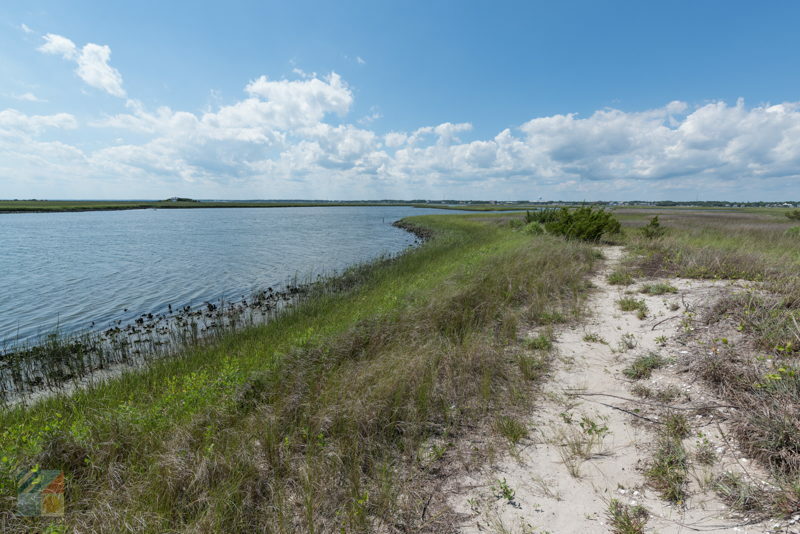 Here, quiet bird watchers will capture views of herons, egrets, ibises, and a wide variety of other, long-legged shorebirds, who call this small parcel of undeveloped terrain home. The trail is open year-round, though is most fascinating during the fall and spring months when the local bird population swells with migrating species. Visitors are encouraged to bring a camera along to capture the views, and summer or warm weather hikers should carry along plenty of bug spray as well, as this undeveloped, marshy region is a hotbed for local bugs. Snakes may make an occasional appearance, but are rarely seen along the main route, so visitors who stick to the trail should be free of any scary sightings. 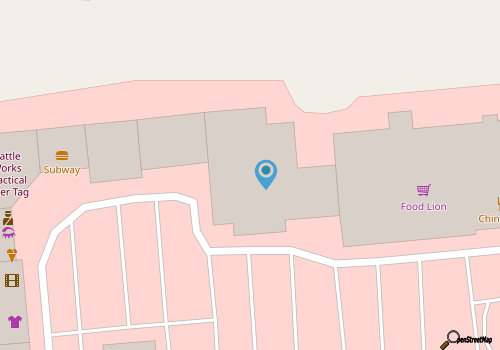 Water and additional supplies may come in handy, but with a locale so close to a major shopping center, patrons will find that's it's easy to reward themselves for a good hike with a cold frozen yogurt, or a soda or milkshake to go. 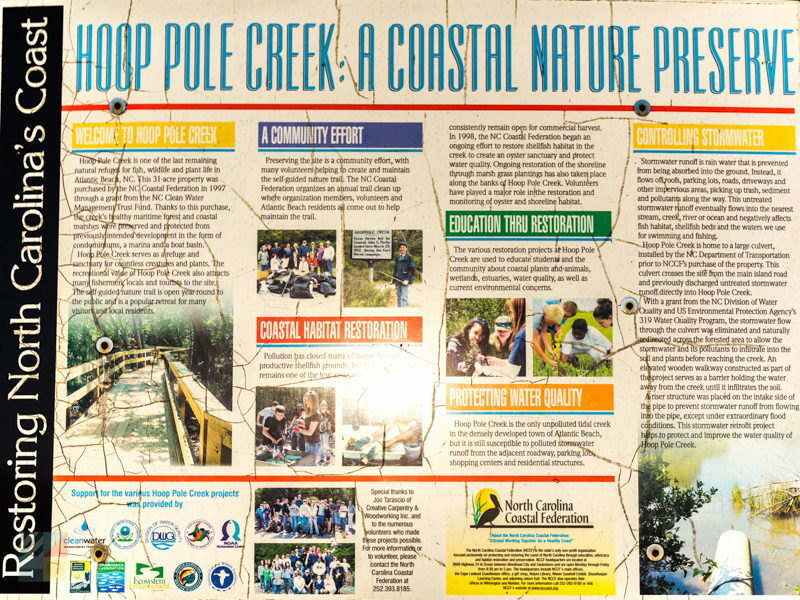 Visitors who want a complete overview of the trail, and of the history behind Hoop Pole Creek in general, can find more information online at http://www.nccoast.org/uploads/documents/Mediarailrailguide.pdf. 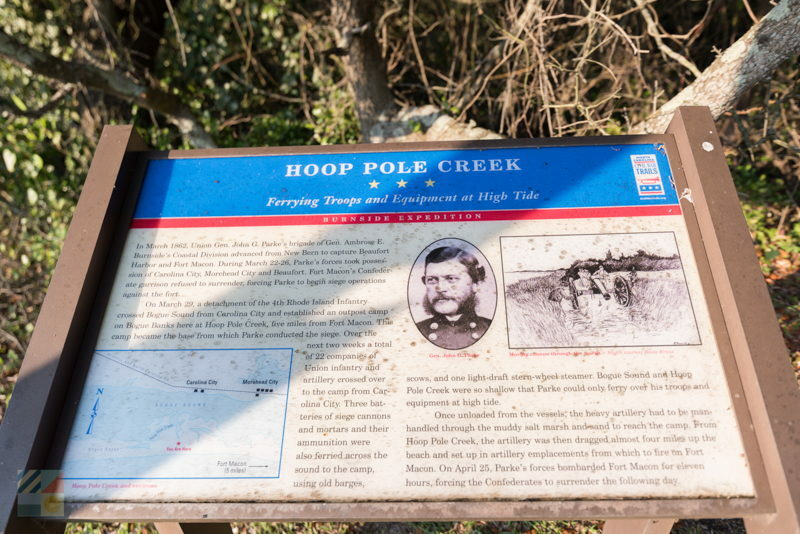 The Hoop Pole Creek Nature Trail may only take an hour or two out of an Atlantic Beach or Emerald Isle vacation, but it's a worthy exploration for any vacationing naturalist who wants to learn more about this unique coastal area. A short but thorough exploration through multiple coastal ecosystems, with some fantastic bird watching opportunities and waterfront views along the way, this sweet one-mile exploration is sure to make any newcomer fall in love with Atlantic Beach's inherent but rarely uncovered wild side.